ATTENTION ROCKERS! No more waiting. 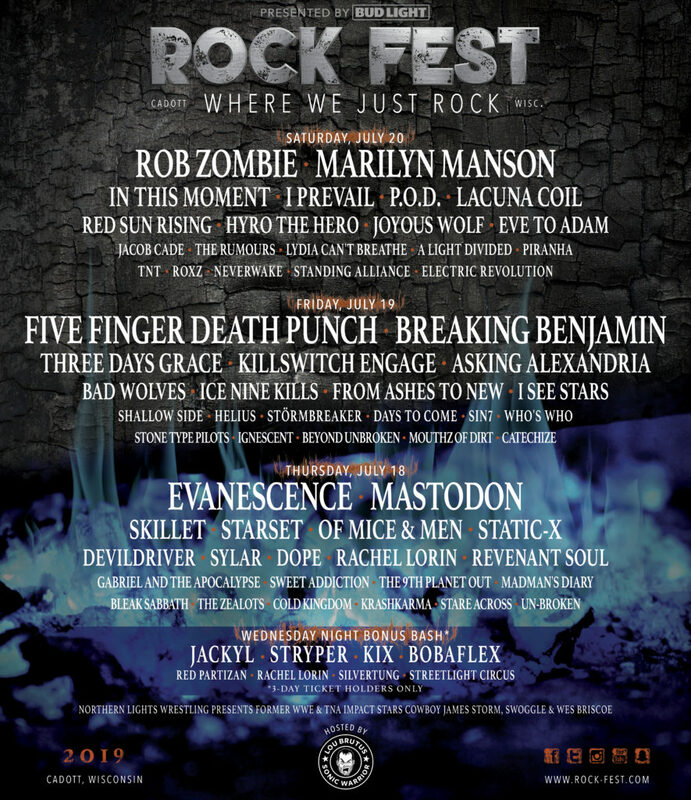 The 2019 Rock Fest lineup is here! How about the rest of the Main Stage lineup? Thursday, July 18 will see MASTODON, SKILLET, STARSET, DEVILDRIVER, DOPE and RACHEL LORIN front and center. Keep rocking all day Friday, July 19 with BREAKING BENJAMIN, THREE DAYS GRACE, KILLSWITCH ENGAGE, ICE NINE KILLS, FROM ASHES TO NEW and SHALLOW SIDE. 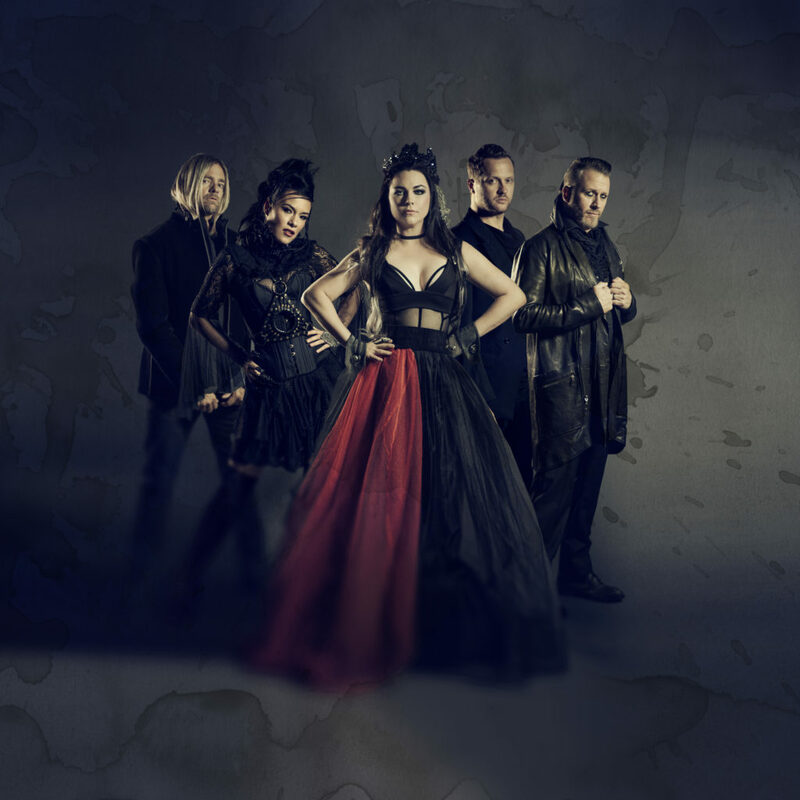 Also taking the Main Stage on Saturday, July 20 will be MARILYN MANSON, IN THIS MOMENT, I PREVAIL, LACUNA COIL, HYRO THE HERO and JACOB CADE. Yup. This is going to be one hell of a weekend. And that’s not even all of the bands that will be in Cadott this July! All four side stages are back in 2019 for even more live music. Let’s break it down. The Wednesday Night Bonus Bash returns in 2019 for all 3-Day ticket holders. Headliner JACKYL plus STRYPER, KIX and STREETLIGHT CIRCUS will take the Who’s On Top Stage. 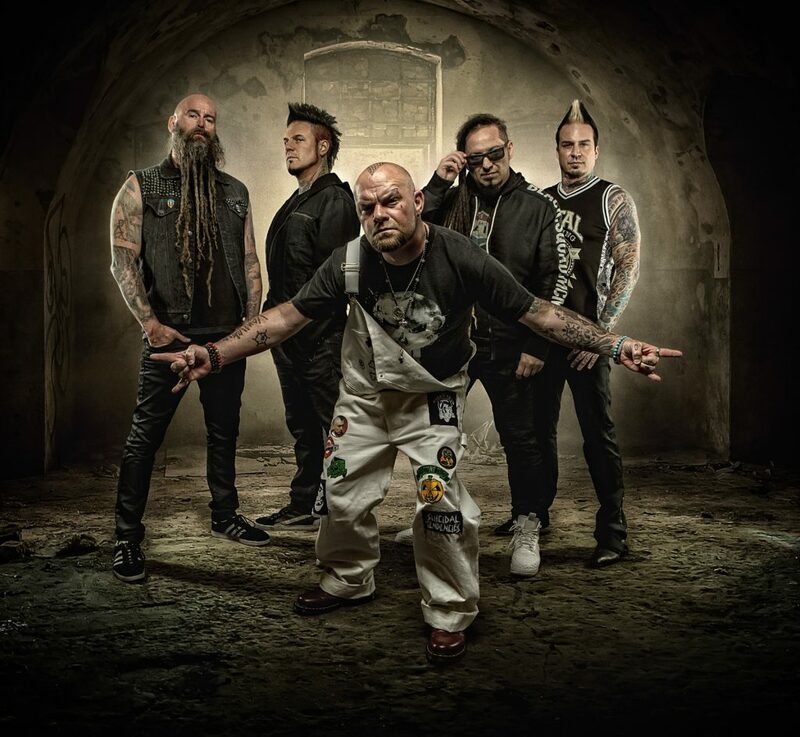 Meanwhile headliner BOBAFLEX plus RED PARTIZAN, RACHEL LORIN and SILVERTUNG will perform on the This Bud’s For You Stage. You know you want ’em. 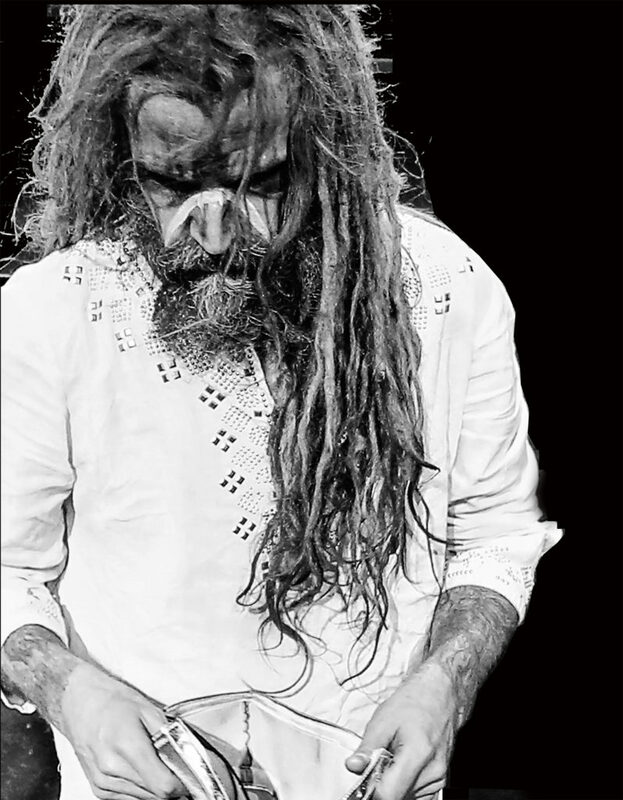 Right now, tickets are at the lowest price of the year. 3-Day and 1-Day General Admission, Reserved Lawn, VIP and Lure Lock Top Tier Lounge are all on sale now + all camping and Pit Passes too. We’ll see you July 18-20 in Cadott, WI. It’s never too early to prepare. 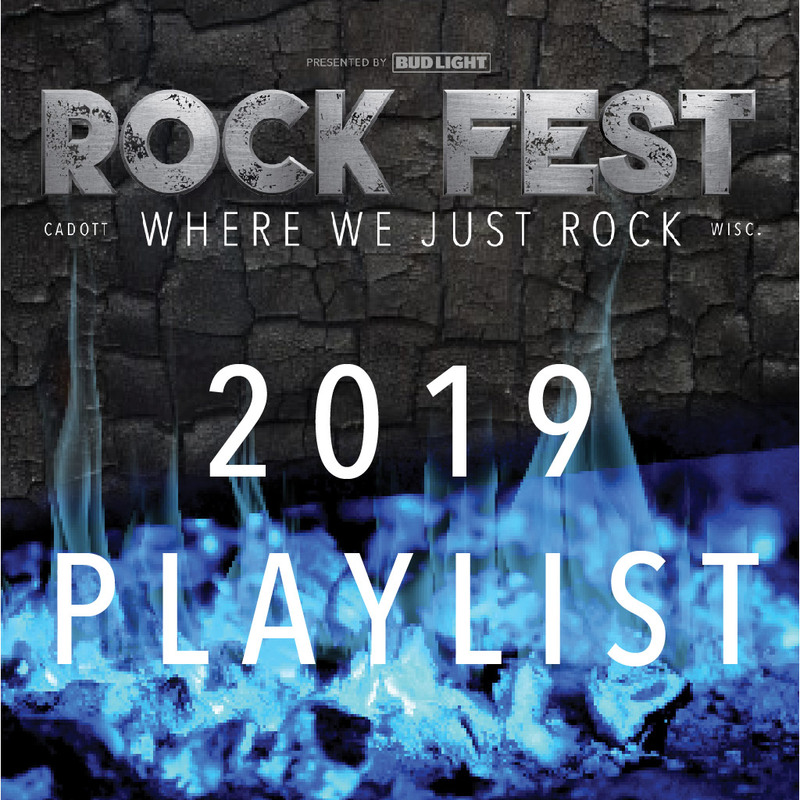 The Rock Fest 2019 playlist is out on Spotify. Check it out and be ready to rock in July!